Easily stores 8x4 sheets securely inside your van. 3 metre lengths of pipe and conduit can be stored internally. 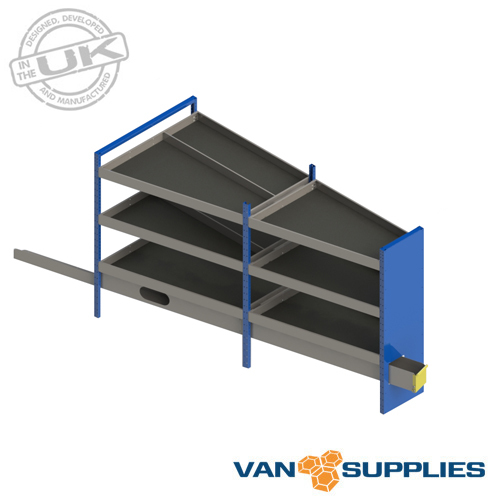 3 x full length steel shelves with dividers. Shelf support and fixing brackets. 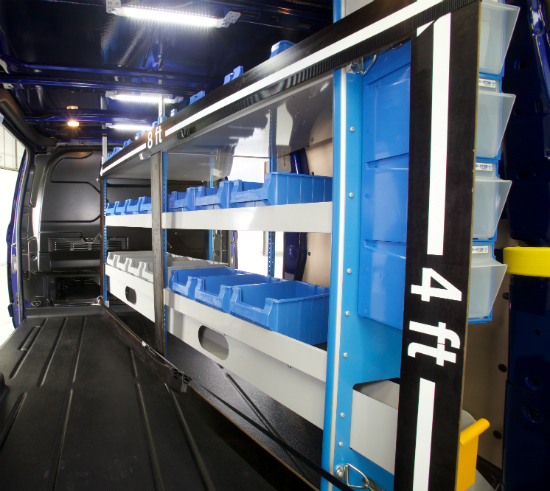 Our Ford Transit Custom Vantage van racking system improves your working efficiencies and presents a professional image. 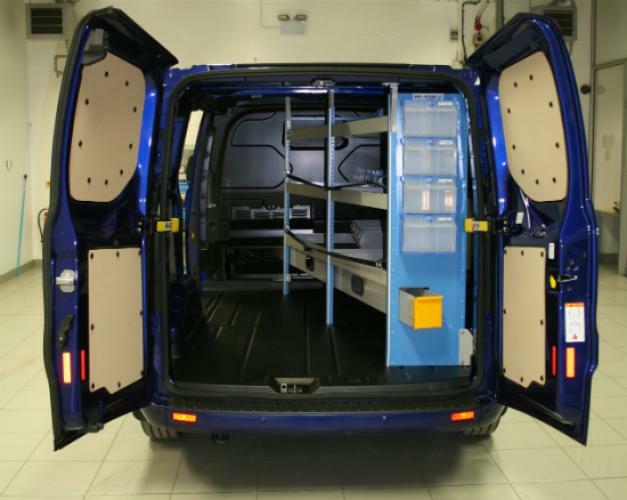 Using high quality powder coated, lightweight, high strength steel construction; it increases your van storage by more effective use of space with the ability to carry up to 3 times more tools and materials. The Vantage van racking system comes complete with step by step assembly and fitting instructions and includes a comprehensive 3 year guarantee. What happens if I am not at home for delivery? Yes. You will be sent a dispatch confirmation email as soon as your order has been processed. This email will also contain your tracking number. We also ask for a mobile number so our courier can inform you of the status of your order. Why am I being charged for delivery on my order when it states delivery is free? All our delivery charges are pre-set by our courier company. 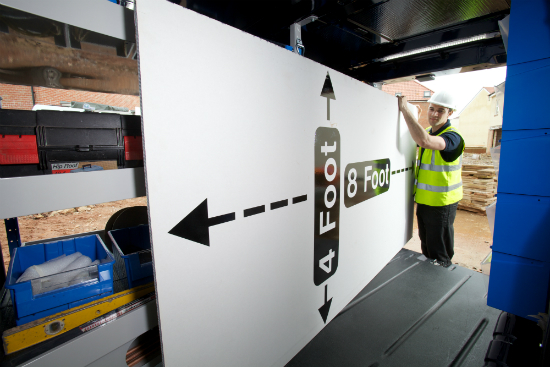 We sell some oversized items which require a specialist courier company to fulfil the delivery, there is an additional charge for these. Also, our courier company consider some surcharge postcodes as 'Out of area'. There is an additional charge for these also. For a breakdown of where we deliver to including any additional costs please see our Delivery Information section. We design and manufacture a wide range of products on site, we do not list every single product we manufacture on our website. We are also continually designing and developing new products, so there is a possibility that the product for your vehicle is still being developed. A bespoke solution may also be available. Please Contact Us for more information. The majority of our products are manufactured from either Extruded Aluminium or Stainless Steel materials. All of our racking products are manufactured using weighty materials, then surface treated onsite and assembled to be durable for operation and weather. Are all the roof bar & van racking packages the same? No, each vehicle has different fixing points that require different methods of mounting. This varies from manufacturer, model and even within different variants of vehicle model. However, we have extensive knowledge of what each vehicle requires and can provide a solution for nearly every light commercial vehicle on the market. We do try to give you as much information as possible on all of our products, however, if you require any additional information then please use the Contact Us form, email, or call our customer service team on 0800 107 0003 they will try to provide you with all the information you require.